After walking around the floor at the International Association of Amusement Parks and Attractions for two days, I’m exhausted. 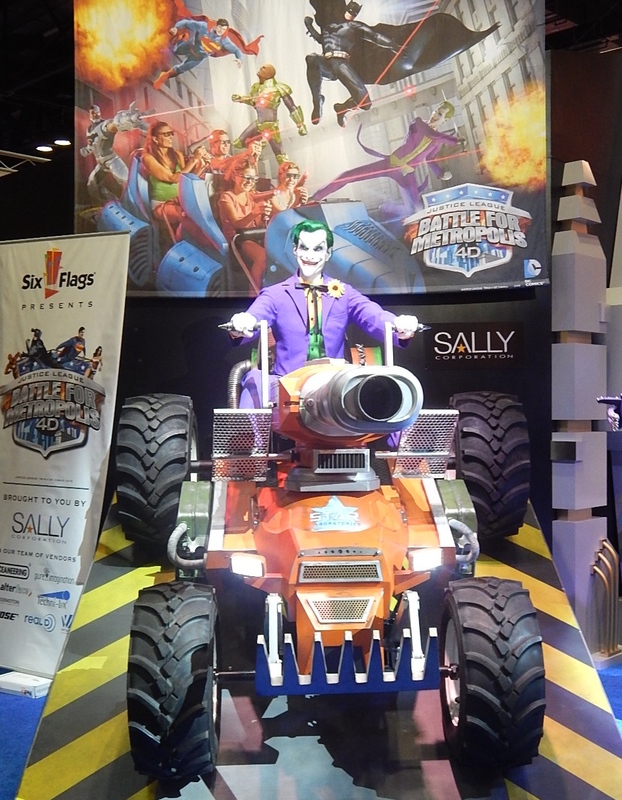 IAAPA is the place where companies who design and build theme parks and attractions sell their wares to big dogs like Disney and Universal and the way down to small go-cart parks and arcades. It was a chance for me to do about a dozen interviews for Theme Park University, but for now I’ll give you a few of the highlights. John Wood unveiled The Joker animatronic figure that will appear in Justice League: Battle For Metropolis 4D at a press conference on November 18 and it’s incredible. The new ride will open at Six Flags Over Texas and Six Flags St. Louis in summer of 2015. I got a chance to chat with Sally Corporation Senior Artistic Director Rich Hill, who has been designing Battle For Metropolis nearly two years. Watch for that interview in the near future on TPU. A few booths down, Oceaneering was showcasing the new ride vehicle to be used on Justice League: Battle for Metropolis. This vehicle can spin 360 degrees as well as pitch forward and back. 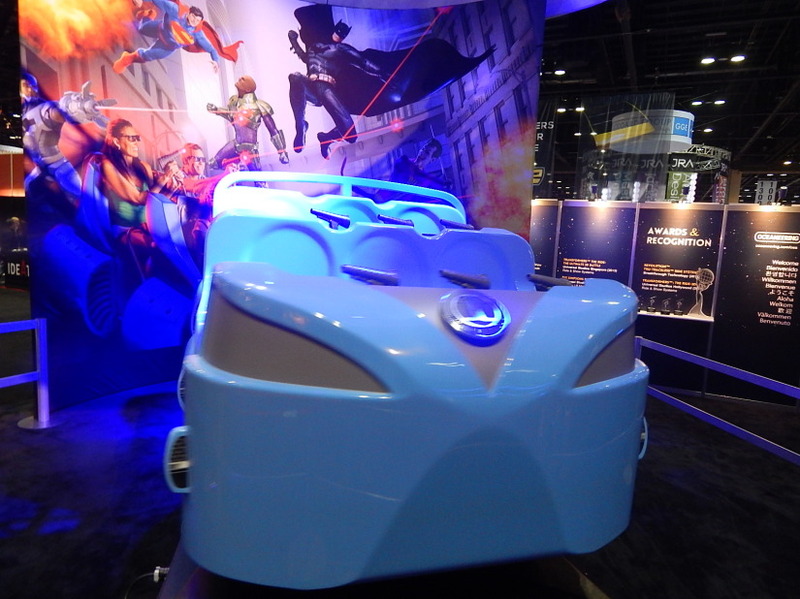 Oceaneering is responsible for many ride vehicles including Transformers: The Ride, The Amazing Adventures of Spider-Man and Antarctica Empire: of the Penguin. Scare Factory featured one of the most unique interactive attractions I have seen in a long time. Wizard Duel pits two players against each other holding an RFID enabled magic wand. With the flick of a wrist, you aim for targets located just behind your opponent standing across from you. 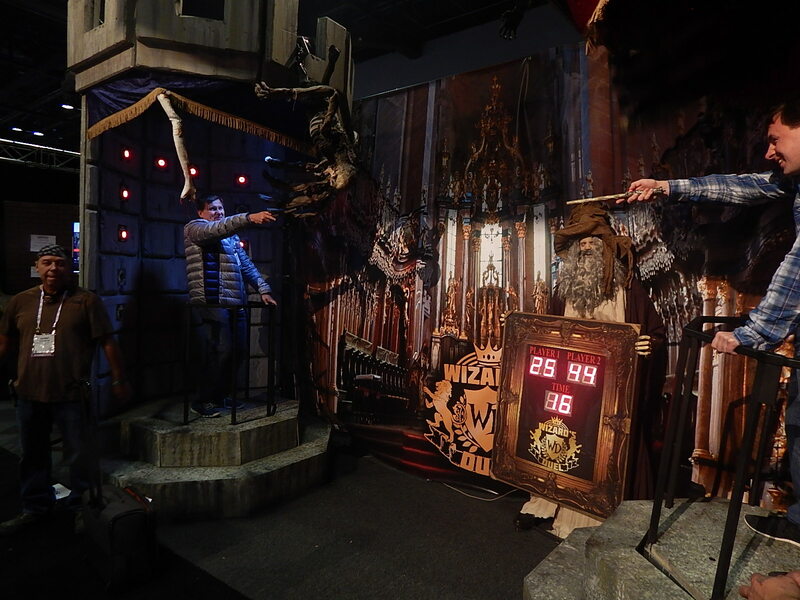 Each target scores you points and throws your enemy off balance by numerous special effects like air blasts, platform movement and even animatronic hands reaching down to grab at you. A fantastic game for spectators and players. 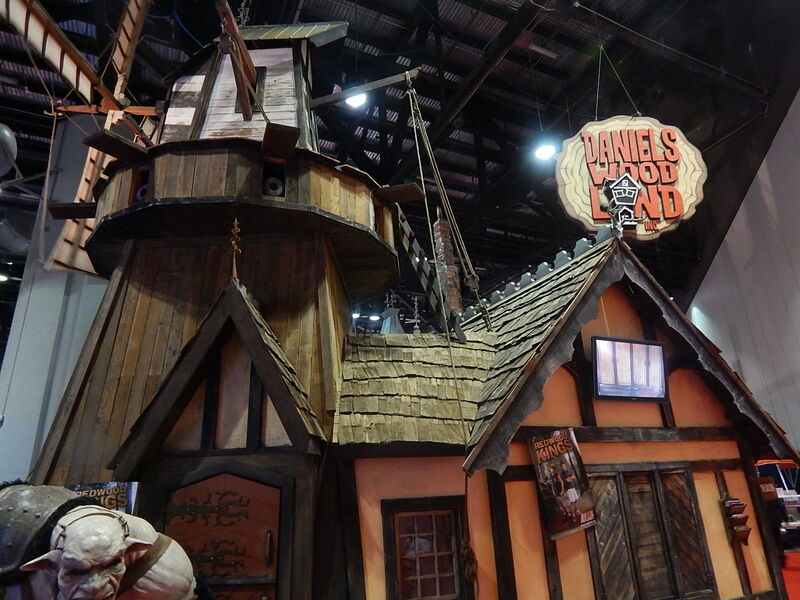 Then there is the always amazing Daniels Wood Land booth. These guys do the most amazing authentic recreations out of wood I have ever seen. In years past, they have created these immaculate treehouses, but this year they built a cottage complete with windmill. 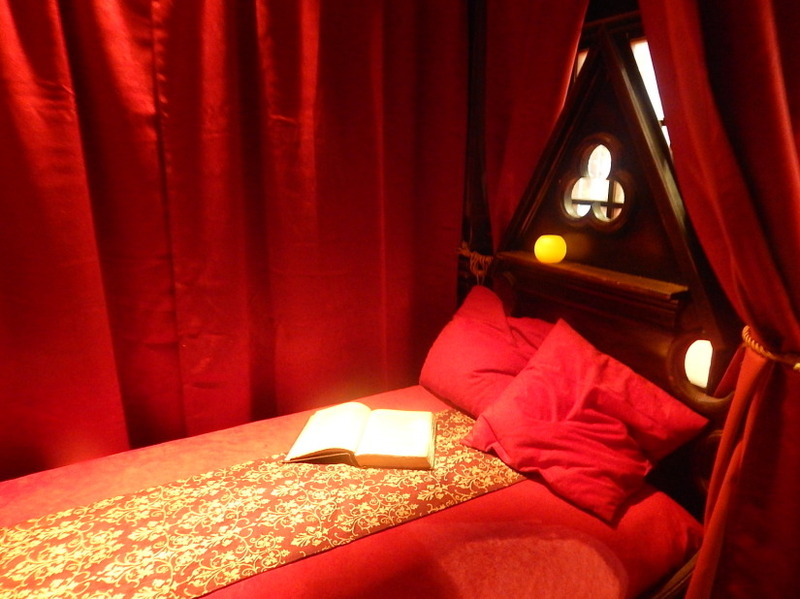 They literally start designing next year’s room just after the current IAAPA show ends. Each room isn’t designed with a particular intellectual property in mind, but rather a showcase to what kind of detailed sets they can create. It’s extremely hard to capture in photos how amazing these sets are. Instead of being on the floor at IAAPA, you truly get swallowed up into this world they have created. 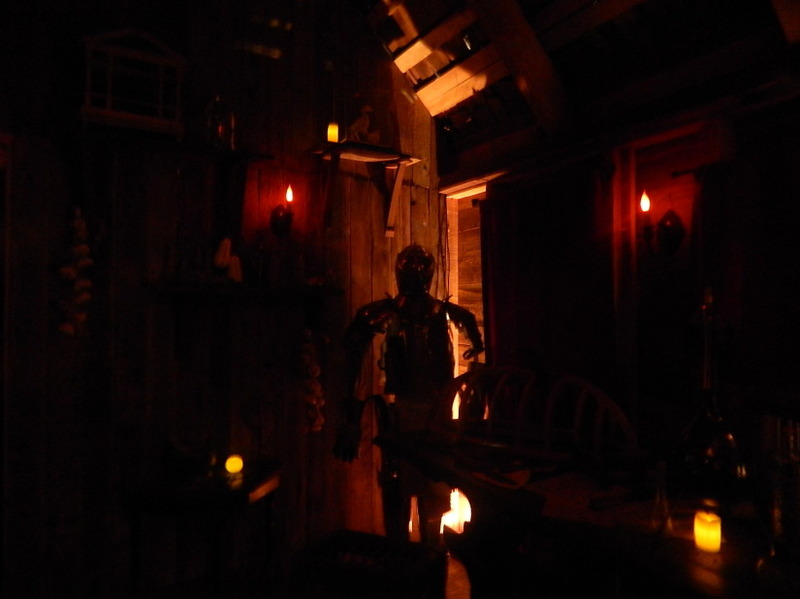 Between the smell of the wood and the creaking boards under your feet, they create a unique and immersive world every year. 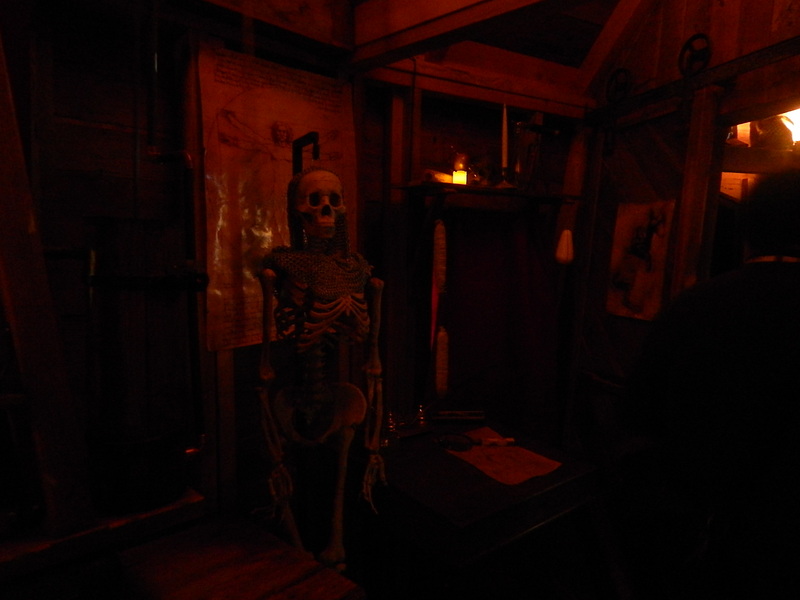 Most recently, Daniels Wood Land helped create many of the sets for the San Francisco Dungeon at Fisherman’s Wharf. 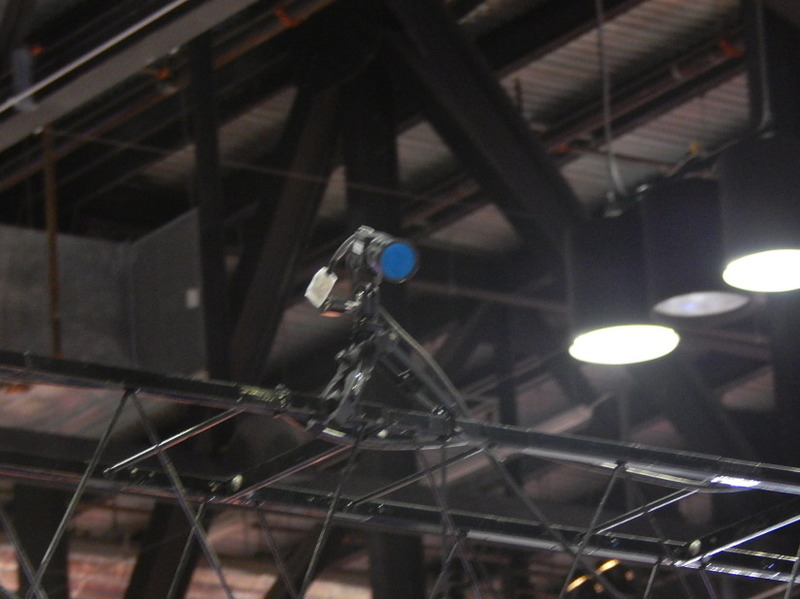 Finally, we have Airstage, who has what I consider to be the coolest technology to hit a theme park in years. They created flying lanterns for the Let’s Dream parade in Lotte World as well as flying snowflakes in the Radio City Music Hall Christmas Spectacular! They had a small presentation to showcase what these flying orbs can do. They were being monitored by small cameras mounted to the top of their booth. Here is the presentation on how they can be controlled by computer, flown around in a small space and even change color. Enjoy! Incredible, isn’t it? John Barker, the gentleman doing the presentation in the video and in charge of marketing, told me they have had interest from several big name theme parks such as Warner Brothers and Disney, but due to confidentiality agreements couldn’t discuss those projects further. Either way, I can’t wait to see what they come up with next. 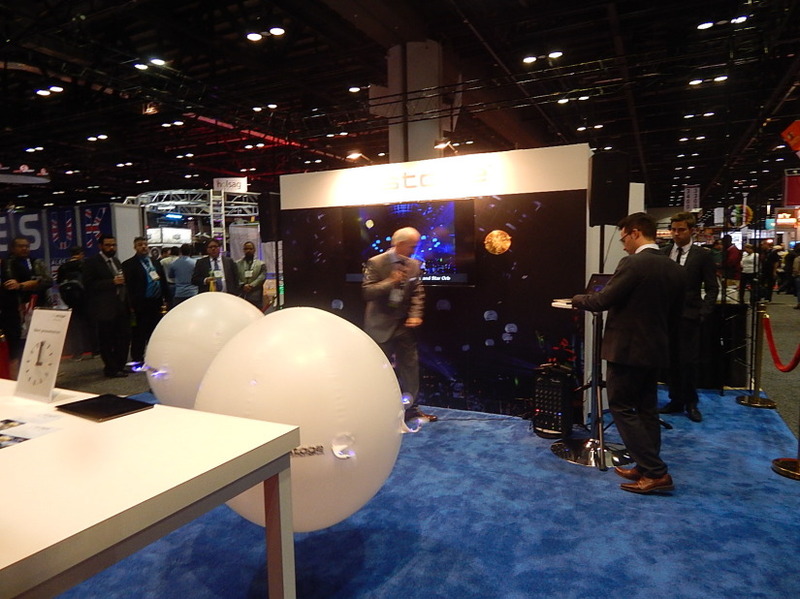 Join us next time as we take another walk around the floor of IAAPA to learn more about the industry! Make sure to follow Theme Park University on Twitter and like our Facebook Page! 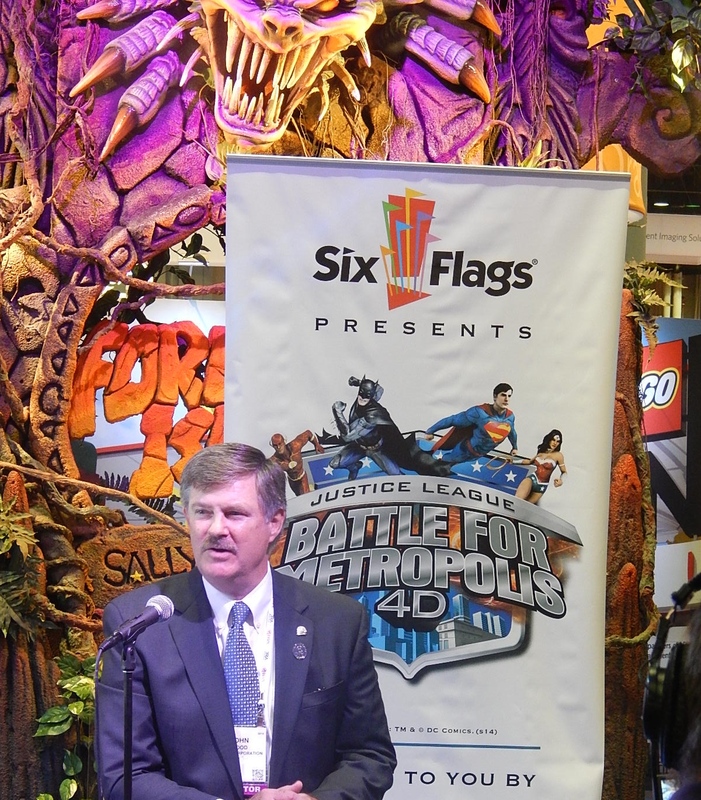 This entry was posted in News, Theme Parks 101 and tagged Airstage, Daniels Wood Land, Justice League Battle for Metropolis, Oceaneering, Oceanering, Sally Corporation, Scare Factory. Bookmark the permalink. Trackbacks are closed, but you can post a comment.